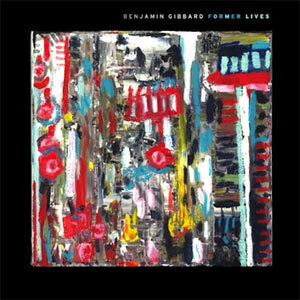 Benjamin Gibbard – Former Lives | NoCoda. What It Sounds Like: Exactly what you would expect a solo record to sound like from the leader/songwriter of Death Cab For Cutie. Contemporary singer/songwriter indie rock. ….I’ve never really listened to Death Cab For Cutie. I KNOW! How is that even possible? This is indie alternative rock gold that was at the height of its popularity during my college years. What freaking gives, Brandon? You know, I don’t really have an excuse. I have heard a few songs. I know Tiny Vessels from Transatlanticism, and I certainly know the killer single Cath… from Narrow Stairs, but that’s really the extent of it. I remember hearing some other random songs in college and it simply not grabbing me that much to pull me in for a closer look, but by all means, I’m not gonna talk down about Ben’s band. I’ve never given them a proper shot, and they certainly deserve one. All this to say though, it may be interesting to come at this solo record from someone who is really unfamiliar with the Death Cab back catalog. I imagine most of the tracks on Former Lives having slightly less energy than Death Cab’s work. When most singer/songwriters take a break and record a solo record, it’s usually much more acoustic based than their normal band’s material. That isn’t necessarily the case here – we have plenty of electric guitars – but it doesn’t feel like a full band record – it feels solo. The instrumentation, while it isn’t sparse, doesn’t feel full of energy. It makes sense, since Ben recorded almost all of the music here himself. He wants his vocals to and lyrics to be on the highest shelf – not necessarily the music. The record is titled Former Lives, so I was expecting a flat out breakup record (he split from Zooey Deschanel in 2011, divorced in 2012). What we get is not as clear as that, but certainly rooted in an experience of lost love. From the fractured, lonely, but unable to leave relationship of Bigger Than Love to the uneasy demeanor of the Mexican tinged, violin and trumpet filled Something’s Rattling (Cowpoke), we find Ben swaying and taking various small chances musically to make sure we stay interested. For the most part it, it works, but like most records, stumbles into some somewhat repetitive material. The piano inspired 60s slow jam of Duncan, Where Have You Gone? starts catchy, but it grows somewhat slowly as we approach the four minute mark. The same could be said of its follow up, Oh Woe. Not bad, but it doesn’t make any lasting impression. It simply sounds like a million other mid-tempo songs that you’ve heard before in your life. I’m glad the whole album didn’t take a country approach, but Broken Yolk In Western Sky is straight indie country, complete with peddle steel and all! As I said, many chances with various styles, and most of them he can pull off. One of my favorite songs, certainly lyrically, and almost to the “t” of what I would have expected musically from this project before I heard it, comes in the form of A Hard One To Know. Uptempo acoustic strumming to account a lover’s tale of misplaced love, trust, and complications with a girl that simply is an eternal mystery. There’s a vast ocean in her mind. You’re a hard one to know. I give a lot of reviews seven stars. Seven star reviews are for good records; not ones that blow you away and make you want to listen to them for a week straight, but ones that are solid enough that you can certainly throw on anytime, and thoroughly enjoy what is coming out of your speakers. Former Lives fits the bill.